Grab crawfish to go at Cajun Seafood. If you’re looking for no frills seafood, I can’t recommend this local favorite on Claiborne Avenue enough. The restaurant uses market pricing, so it’s subject to change. But I grabbed two pounds of crawfish, a pound of crab legs and a few ears of corn for $35. The crawfish, which were seasoned to perfection, were the clear stars of the meal. So be sure to grab a few pounds to take home for lunch. My only regret is not having discovered this place sooner. I seriously would have went everyday of my trip. Celebrate our history in visual form at Studio Be. Brandan “Bmike” Odums, a noted visual artist and filmmaker who was featured in OWN’s hit drama series “Queen Sugar,” transformed a 35,000 square-foot warehouse into his first solo art show. It depicts legendary civil rights leaders in moving and breathtaking pieces that have already attracted national attention. Have lunch at Willie Mae’s Scotch House. A black-owned soul food hub of New Orleans’ historic Treme neighborhood since 1957, Willie Mae’s is a must-try in New Orleans. Instead of featuring every soul food under the sun, this spot does a few things exceptionally. Keep it simple, and get a plate of fried chicken, red beans and rice and cornbread. Even if you don’t usually eat red beans and rice, get them from Willie Mae’s, and they will change your life. Although I would pig out on fried chicken at Willie Mae’s exclusively, Dooky Chase’s Restaurant on Orleans Avenue has great crab cakes and even better service. Artwork lines the walls, and you can get as dressed up as you would like to for dinner without feeling out of place. Instead, the staff makes you feel like royalty. Taste as many oysters as you can. Raw oysters are definitely an acquired taste. I’ll sop them up with tabasco sauce and lemon juice. But of the Honeycomb moms, I’m in the minority. Still, don’t let the texture of raw oysters turn you off to the seafood completely. Try them charbroiled at Deanie’s Seafood or Acme Oyster House on Iberville Street, Jerusha said. Neyow’s Creole Cafe on Bienville Street does amazing chargrilled oysters, and the restaurant’s crab claws sautéed in butter don’t disappoint either. Take a DIY dessert tour. You could be basic and let your dessert tour begin and end with beignets at Cafe Du Monde, but the real magic is the Bourbon Praline King Cake Doberge at the unsuspecting Bakery Bar on Annunciation Street. A layered king cake with bourbon-infused praline icing, the cake was like a delectable shot of bourbon, Jerusha said, having tasted the dessert with a few sorority sisters. “It melted in our mouths,” Jerusha said. The chantilly cake rolled ice-cream at Freezy Street and the pralines at Loretta’s Authentic Pralines are more than worth mentioning too, Honeycomb mom Jessica Hawkins said. Get ratchet at Sing Sing. I like to hear hip-hop and get a little ratchet when I go out. 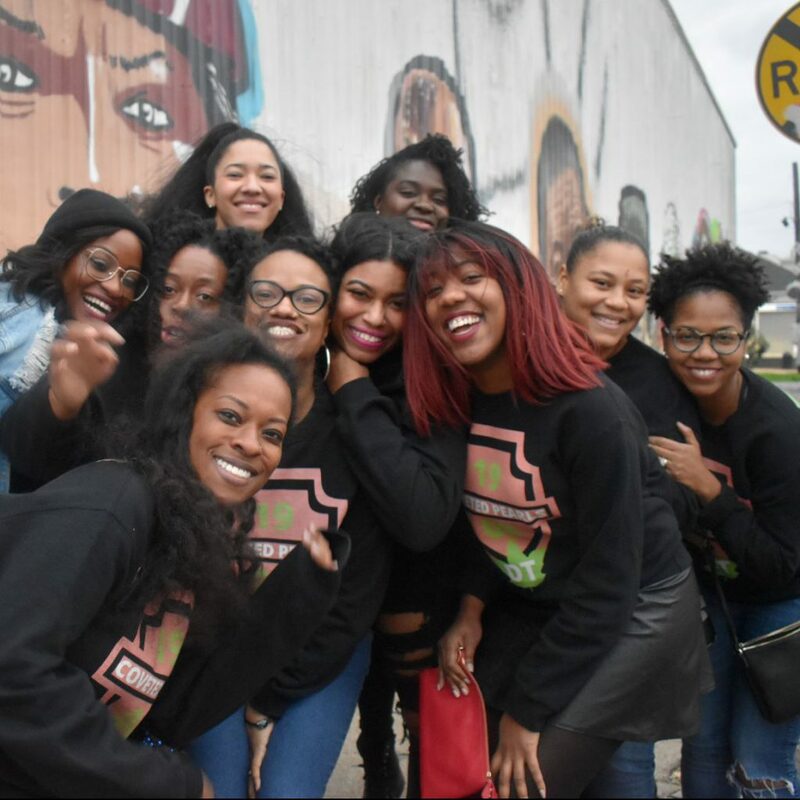 You’ll have plenty of opportunities to do the latter on Bourbon Street in New Orleans, but the hip-hop spots are few and far between. Sing Sing did not disappoint though. It had a packed, basement party feel to it, and the music was A1. Sip on a Hurricane or Hand Grenade. No trip to The Crescent City is complete without these potent and fruity cocktail favorites. The Honeycomb moms didn’t get very adventurous here. We went to the popular Pat O’Brien’s for Hurricanes and Tropical Isle for Hand Grenades on Bourbon Street. Just be sure to finish your drinks before going to the next spot. That’s apparently a thing with bars in New Orleans. Don’t forget about Frenchmen Street. Sure Bourbon Street gets all the love, but we had a ball at The Maison on Frenchmen Street. Honeycomb moms Sydnea Rutland and Holland Harmon spent most the night on one of the club’s balconies. There, they listened to live music and cheered for the night’s featured band, Ashton Hines and The Big Easy Brawlers. The rest of the moms danced the night away in the club’s third-floor party room, which featured a deejay. I love everything about New Orleans and I’ve never been. The culture, the people, the accents, the food! I will utilize this soon as I’m on my way down there! Fun! 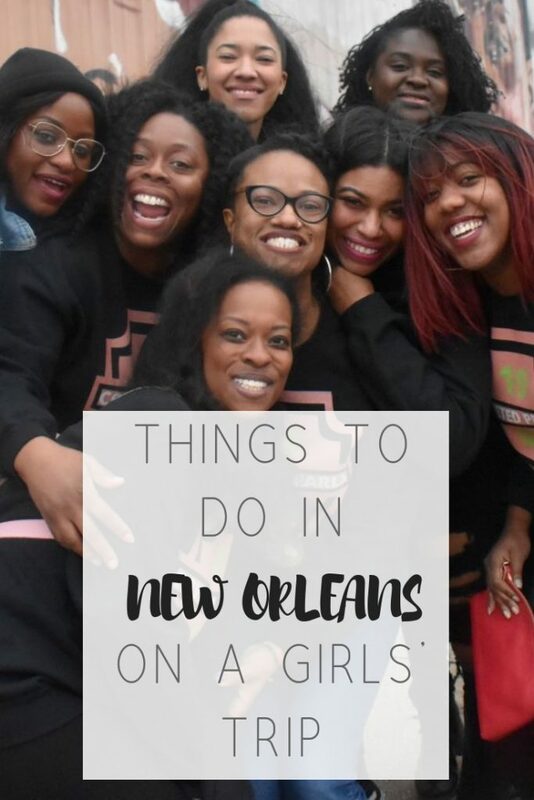 I’m not a millennial but I would love to visit New Orleans and check out a few of these places myself! Girl do it! I could live there. This looks like this will be a great time! I’m not a millennial (but I try to act like one sometimes lol). Thanks for this post. These are some great tips and ideas. Looks like a great trip, and happy 10 years, Soror! I’m loving the shirts! New Orleans is always a good idea for a girls trip. New Orleans is one place I know for sure I want to visit. I never hear a bad thing about it. Thanks for sharing this list of wonderful things to do and try. I’ve been to New Orleans only once, and out of your list Ive completed 3/9 things! That means I’ve got some exploring to do next time I go! Insightful post! Yesssss, to the eat all the oysters you can! I LOVE oysters so whenever I’m in NO I can’t get enough. My family is from LA. My dad was born in NO and raised in BR, so I loved everything about this post. I was actually thinking about going to Essence this year. I’m debating whether I should do NOLA or a cruise this spring break. I definitely want to eat and maybe sip my heart out, lol. The seafood is such an incentive. New Orleans is one of my favorite cities. We went there on weekends quite a bit when we lived in Mississippi. I loved the music and beignets. New Orleans is so close to the top of my places I really need to visit! And perhaps the movie Girls Trip had something to do with that. It just seems like such a lively place!